A healthy retina is necessary for clear, sharp vision. The retina is the light-sensitive layer of tissue located in the back of the eye. It contains millions of tiny photosensitive cells that convert light into signals that are sent along the optic nerve to the brain, which then converts the signals into images. When there is a tear in the retina or the retina detaches, immediate medical care is essential to preserve vision. The eye care team at Mack Eye Center consists of highly trained and skilled doctors who are experienced in repairing retina tears, holes and detachments. Our commitment to utilizing advanced surgical techniques and providing quality patient care is what has made Mack Eye Center the trusted choice for retina surgery and eye care in Hoffman Estates. When Is Retina Surgery Needed? The eye is filled with a gel-like substance called the vitreous, which is attached to the retina. Over time, the vitreous thins, which can cause it to separate from the retina, leading to holes and tears. Retinal detachment typically occurs when the vitreous fluid passes through a small tear or hole in the retina and collects behind the retina. If left untreated, vision loss and, ultimately, blindness can occur. In most cases, retinal tears and detachments require surgery. Mack Eye Center offers several effective surgical procedures for a retinal detachment, hole or tear. One of our eye surgeons will thoroughly examine your eyes and the severity of your condition in order to determine which treatment option is best for you. Retinal tears and holes can typically be treated with laser surgery. During the procedure, a focused beam of laser light is used to seal leaky blood vessels, repairing tears and holes in the retina. This procedure uses a cold metal probe to apply subfreezing temperatures to the retina, sealing it against the wall of the eye. Cryotherapy can be used to repair retina holes, tears and, in some cases, detachment. During this procedure, the vitreous gel is removed from the center of the eye and replaced with an injection of air, gas or liquid. Over time, your body’s natural fluids will replace the gas bubble, sealing the tear or hole. Depending on your condition, your eye surgeon may recommend combining vitrectomy with scleral buckle. This procedure is most commonly performed to repair retinal detachments. The procedure drains the fluid from under the retina and then implants a flexible band (scleral buckle) around the outer wall of the eye. The scleral buckle provides support to the retinal tear while it heals. After successful retina surgery, it may take several months for vision to improve. Unfortunately, some retinal detachments cannot be fixed, and as a result, some patients may not be able to ever regain vision. The best way to increase your chances of regaining or preserving vision following retinal detachment is by seeing one of our eye doctors immediately at the first sign of any vision problems. 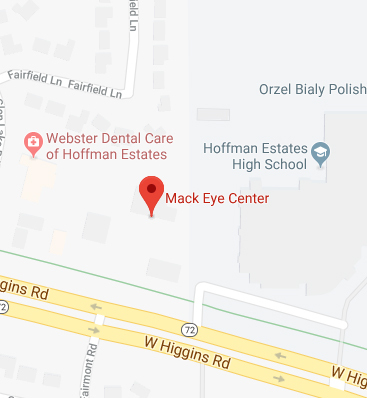 To schedule an appointment with Mack Eye Center, please call (847) 755-9393 today.